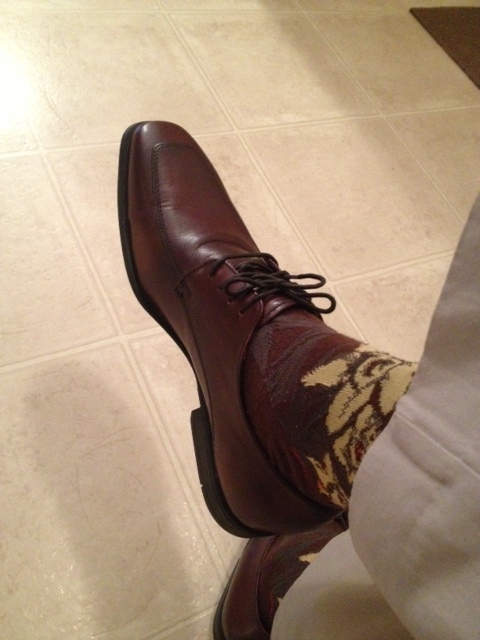 Brown oxfords by Cole Haan. 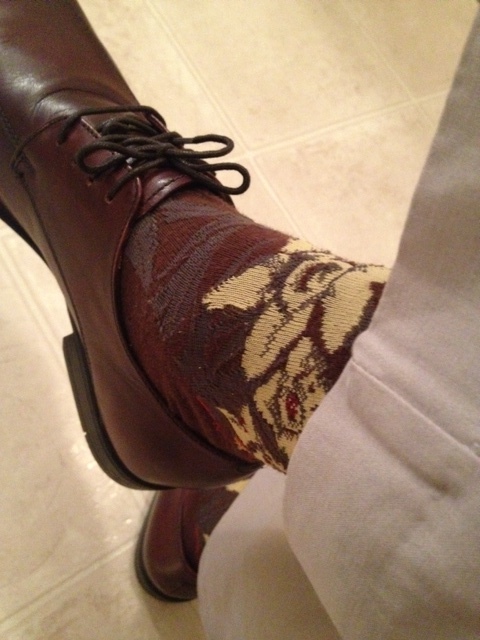 Floral dress socks by Ralph Lauren. 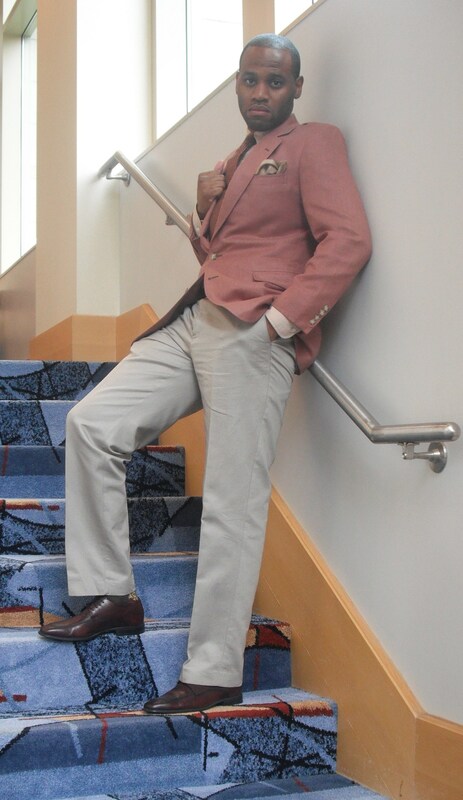 Micro-window pane button down dress shirt by J.Crew is a thrifting find. 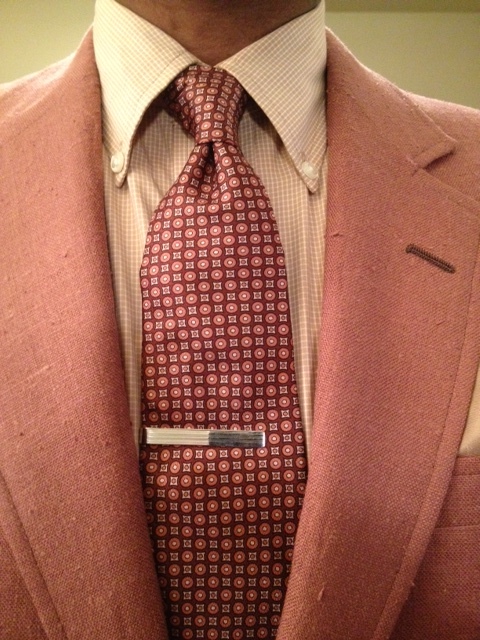 Silk necktie is a thrifting find, Tie bar is by Banana Republic. 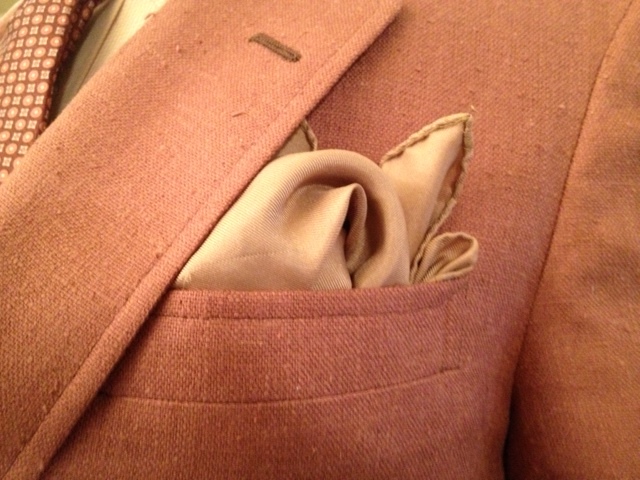 Tan silk pocket square origin unknown. 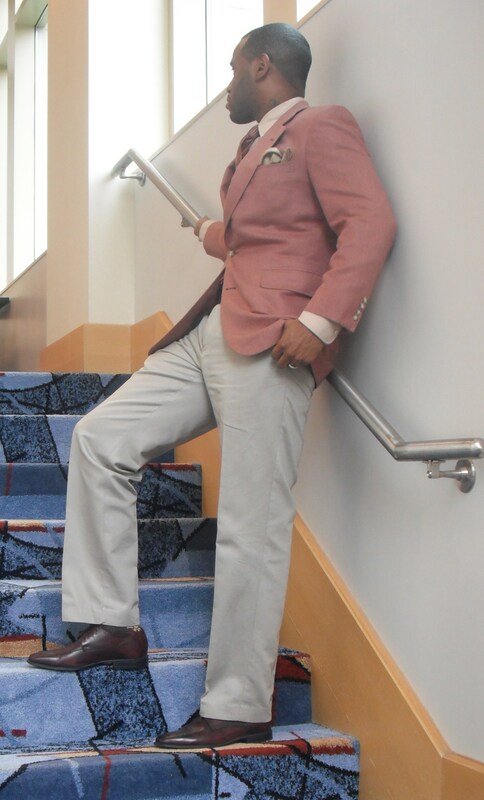 This entry was posted in Uncategorized and tagged Banana Republic, Banana Republic tie bar, Calvin Klein, Calvin Klein trousers, Charlotte Style, Cole Haan, Cole Haan oxfords, J.Crew, J.Crew button down, NC Style, Ralph Lauren, Ralph Lauren floral socks, Rose colored blazer, Wilbur Dow by wilburdow. Bookmark the permalink.